Rapaport said he’s known from the beginning that the digs, on Queens Boulevard, were temporary. It was difficult then, as now, to find a landlord willing to rent to a charity. He only secured the space, he said, because the owner couldn’t get long-term tenants, since he planned to demolish and redevelop the space. “Our Borough Park location, which is in part of a Y, is having the same problem,” Rapaport said. “We are hoping very much to reopen Borough Park in a full storefront.” So Masbia will soon have to move from that location too. Meanwhile, since Brooklyn rents have risen and the space Rapaport is trying to secure will be significantly more expensive than the current spot, he has initiated a fundraising campaign to benefit that location. Masbia donors Henry and Susie Orenstein have been paying the rent at the Queens space since the beginning, Rapaport said, explaining that if the new rent is higher there, the Orensteins have committed to covering it. 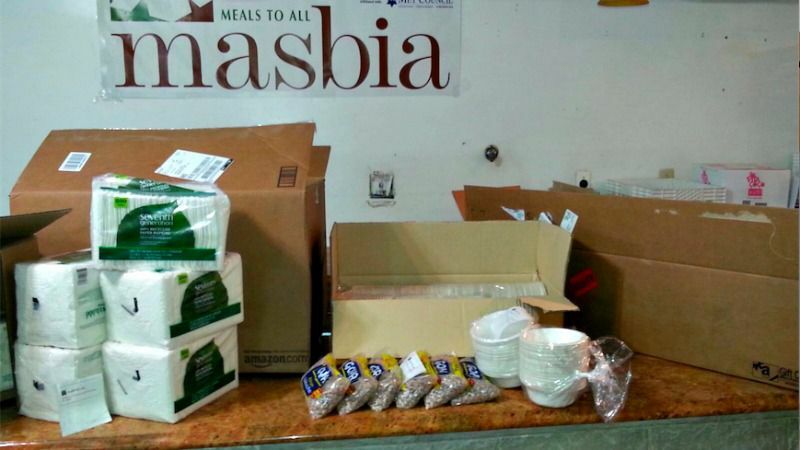 What money can buy for Masbia are items on a long Amazon wish list, everything from much-needed supplies to kitchen equipment . Masbia serves hot kosher dinners five nights a week, and Rapaport hopes that any upcoming transition won’t affect the regular visitors. Sounds like a lot happening at once, but Rapaport is unfazed. Liza Schoenfein is food editor of the Forward. Contact her at schoenfein@forward.com.